A solid – experienced background. In 2004, Chapter One was established and by sticking to the key principles of providing caring, understanding and stimulating environments with a strong focus on investing and developing our staff, we have earned the reputation of being one of the best childcare groups, backed up by exemplary inspection reports. We have retained good quality staff that have shown commitment and have worked as part of the team to raise standards and practice for the benefit of our children. Our staff show commitment, understanding, patience and the highest standard of care. We currently have nine nursery settings across England, Scotland and Oman, two of which are fully outdoor nurseries, which are run by over 90 staff. 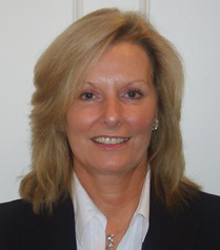 Diane Gillam has over 40 years’ experience in the childcare sector. As well as setting up and running many successful nurseries, she has undertaken specialist roles as a maternity support care nurse and worked extensively with young people with additional support needs. Diane is Head of Management and Staff Development. Jon Gillam helped establish and develop the Chapter One brand in 2004. 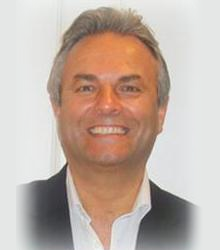 With a background in finance, business management and investment stretching over 30 years, he has been instrumental in developing the group into the current formation, which includes the Treetops brand and an international presence. Jon is Head of Finance and Development. Bettina Spouse has considerable experience in childcare and management. 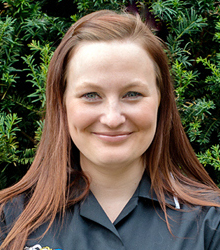 Working alongside the owners, Bettina runs the day to day business as well as leading and guiding the management teams, with her real passion for childcare and outdoor learning. Bettina Spouse is Group Manager of Chapter One. We believe that learning should be fun and fun should be learning. Learning happens everywhere especially in an ever-changing outdoor environment. Our focus is on the children, they are the future and the most important people and they should be treated so. We expect our teams to see learning from the child’s point of view by getting down to their level, only then we will see what they are seeing everyday. As adults, we are here to facilitate play and learning opportunities, we will not get in the way of natural learning experiences. We will simply match the curriculum with the children’s interests and needs. We want children to learn without even realising they are doing so. We aim to be different and provide children with a hands-on approach to learning. By trying and doing, instead of hearing and seeing. We want the children to lead their play and experiences and for us to provide a safe and naturally stimulating environment thus resulting in our children becoming confident, responsible, effective and successful in all they set out to do. Chapter One has a strong commitment to providing the highest standards of care and learning in a stimulating and supportive environment. Our nurseries provide children with a safe, secure and happy place in which they can play grow and learn. We strive to encourage, support and challenge children in their learning journey, while continuing to meet the needs of each individual child and family. The foundation of our business is the people who work for us and our commitment is continuous professional development for all staff. Our mentoring and supervision of staff is at the highest level to ensure that the best care and learning is delivered. We are privileged that every year, hundreds of parents make the choice to let us share the family care for their children, safe in the knowledge that they are in caring, fun and safe environments. We pride ourselves on having a pro-active management team who lead the teams of staff through continuous development to engage children in early learning experiences. Quality controls are in place to ensure that the highest of standards of care are given within safe and stimulating environments. Our HMIe and Care Inspectorate reports illustrate our ongoing commitment to providing the highest possible levels of safety, care and education. With over 40 years expertise and an excellent reputation since 2004, we have continuously built upon our successes. Quality childcare is often something you would hear when people describe their provision — the difference is, for us, it’s not just a statement… It’s a fact and something we practice in our every day work! Parents are our partners in learning and we will display excellent communication by not only daily face to face contact and making time for discussion, but we will also share information via Facebook — website updates, latest publications and parent evenings, as well as online learning journals. We have a settling in procedure to welcome families into nursery and work with parents setting out individual care plans. Working in partnership with parents is central to the way in which we work. Early years practitioners need to find out about children’s early experiences from parents so that we can best plan for their learning. All contributions from parents are welcomed. Helping out during sessions, sharing their interests, or cultures with children and taking part in discussions about the provision, all provide the opportunity for parents to learn about the life of the setting, about young children’s learning in the setting and how this can be supported at home. This all forms a great partnership to ensure your child gets the support to meet their individual needs. We also have a Parent Committee made up of parents from across Chapter One nurseries.